"The Heart of the Quarter"
Ahhh, love. New Orleans is love. New Orleans has passion and warmth. 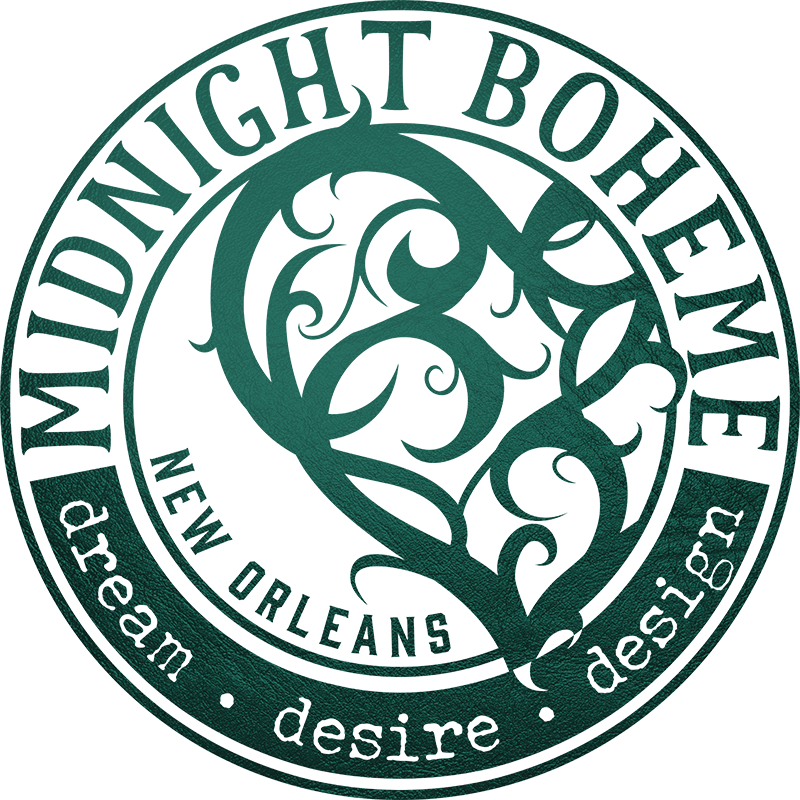 New Orleans offers desire and romance. From the mists and oaks of City Park to the lush and secluded courtyards of the French Quarter, the city of La Nouvelle Orléans is a passion pit for romance and l’amour. It is a city of heart. Heartbeats, heartthrobs, heartfelt. And in this very heart of a seaport city on the river’s mouth blooms a fruit of love: the strawberry. As Louisiana’s state fruit, strawberries are celebrated each year during the annual Strawberry Festival in Ponchatoula with music, contests, and food booths serving strawberry pie, strawberry jams, and homemade strawberry shortcake. Much love lore surrounds the strawberry. Whether on one’s wedding night, during an anniversary celebration, or on Saint Valentine’s Day, serving your lover strawberries by hand is a seductive, melt-in-your-mouth treat, either doused in chocolate or sprinkled with sugar. The strawberry is known as the Venus of berries and the Aphrodite of fruit. This delicate, heart-shaped botanical berry has always connoted purity, passion and healing from its characteristic aroma, bright red color, juicy texture, and plump sweetness. Strawberries have been used in stories, literature, art and architecture throughout the ages. In Othello, Shakespeare wrote of Desdemona’s handkerchief embroidered with symbolic strawberries, signifying its exoticness and feminine power. During the French Revolution, Parisian ladies of royalty bathed in the juices of strawberries for the fruit’s healing properties. The strawberry was once chosen as symbol for Greek and Roman goddesses of Love because of its color of passion and shape of a heart. Medieval stone masons carved strawberry designs on cathedral altars to symbolize perfection and righteousness. Legend has it that if two people break a double strawberry in half and share it with each other, they will fall madly in love. As a member of the rose family, the strawberry has always been regarded as an aphrodisiac for its metaphoric power to seduce using its flavor and fragrance to elicit hedonic responses. The senses appeal to the strawberry’s ripe taste and olfaction which have been reproduced in confections, perfumes, and cosmetics along with food and beverage recipes. Crimson strawberries served in heavy cream were considered a luxurious dessert in New York society during the early part of the 19th century. As New York became the hub of strawberry cultivation, the advent of the railway system allowed the crop to be shipped in refrigerated railroad cars to Florida, Tennessee, and Louisiana. On the lush meadows of Louisiana’s southeastern parishes, strawberry fields began to flourish and soon the state became a top strawberry producer for the fresh market. In 2001, the infamous strawberry was deemed Louisiana’s official state fruit. The strawberry, a heart-shaped fruit cloaked in the color of Eden’s apple, symbolizes the very beating heart of the historic French Quarter in the center of New Orleans, Louisiana. Elegantly served with sparkling wine, the blushing mixture of strawberries and champagne offer the taste of romance in a glass.